These past two years, there has been a fair demand in a number of neighbourhoods of Osterley & Spring Grove Ward for residents only parking. In response, Hounslow Council’s Traffic Team has undertaken a number of consultations which have been reported at meetings of the Isleworth & Brentford Area Forum. This piece provides a situation report. Northumberland Gardens – This came in to operation early April 2016 arising from discussion at the 12 March 2015 IBAF when proposals for the improvement of the pedestrian crossing outside Syon Lane Station were agreed. The scheme was designed as an extension to the existing Syon Lane Station controlled parking zone and provides an additional 14 spaces to that scheme operating from 9.00 am to 6.00 pm, Monday to Friday. A map of the extension can be found here. Thornbury Road South – Development of this arose from an online petition started on the Hounslow Council website in the autumn of 2014 by a local resident. It began as a response to impacts from parking by college, mosque and new developments parking. Following a first stage informal consultation during April 2015 and for a detailed scheme in November 2015, IBAF agreed to add proceed to statutory formal consultation at its meeting on 21 January 2016. Formal traffic orders are being compiled for the statutory consultation expected to run for 21 days from late June 2016. It will propose the addition of Thornbury Road (between Spring Grove Road and Eversley Crescent), Stanleycroft Close and Weston Gardens to the existing Spring Grove CPZ which operates from 9.30 am to 5.30 pm, Monday to Friday. A copy of the January IBAF report can be found here and map of the proposed extension here. Should June’s statutory consultation not yield unresolvable objections, it is expected that the scheme will be installed late October 2016. Thornbury Road North – Work on this scheme also arose from a petition started on the Hounslow Council website by a resident concerned with commuter and holiday maker parking due to the proximity of Osterley Station. Formal traffic orders are also being compiled for a statutory consultation expected to run for 21 days from mid June 2016. It will propose the creation of a completely new controlled parking zone to include Thornbury Avenue, Thornbury Road (between Great West Road and Church Road), Church Road (between Thornbury Road and Osterley Road) and Osterley Road (between Church Road and Great West Road. 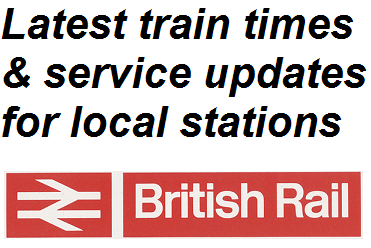 It would operate from 10.00 am to 12.00 pm, Monday to Friday. Should the statutory consultation not yield unresolvable objections, it is expected that the scheme will be installed late October 2016. A copy of the January IBAF report can be found here and map of the proposed zone here. Permit holders only past this point sign proposed for Ravenswood Gardens and Naseby Close. These negate the need for bays marking. Naseby Close and Ravenswood Gardens – These two roads located off The Grove, already covered by the existing Spring Grove CPZ, were also consulted in April and November 2015 and reported to the IBAF in January 2016. Residents here also wanted in and formal traffic orders are also being compiled for a statutory consultation, mid June 2016. Again, in the absence of unresolvable objections, the scheme is expected to be installed late October 2016 but done so with no road markings, just signs at the start of these two cul-de-sacs. A copy of the January IBAF report can be found here and map of the proposed zone here. Spencer Road – Councillors agreed with the council’s traffic officers’ recommendation that residents of this road be included in the April 2015 consultation with neighbouring streets. 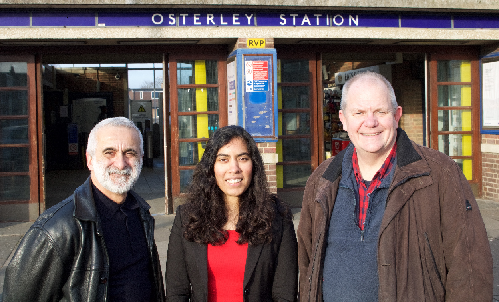 The results showed that there is demand and a scheme is being progressed to address commuter parking attracted by Osterley Station and the expected impact of a zone being commissioned south of Spring Grove Road. Statutory consultation will take place from early June 2016 for a completely new controlled parking zone and, without unresolvable objections, is likely to be installed late October 2016. A copy of the January IBAF report can be found here and map of the proposed zone here. Across from Isleworth Station – Work on this began following the presentation of a 100+ signature petition to the Mayor of Hounslow at a council meeting in January 2015. The petition arose from residents’ concerns over parking by commuters, crown court users and residents from nearby developments, already built and in the pipeline. Following a first stage informal consultation during April 2015 and for a detailed scheme in November 2015, IBAF considered an officer report at its meeting on 21 January 2016 where differences of opinion on the proposals were raised, particularly over hours of operation. This gave rise to a further meeting on 9 February 2016 called by councilors and attended by 20 residents and a way forward agreed to proceed. Formal traffic orders are now being compiled for a statutory consultation from late June 2016. It will propose the addition of Grove Road, Avenue Road, Overton Close, College Road (south of Ridgeway Road), Henley Close and Beechen Cliff Way to the existing Spring Grove CPZ which operates from 9.30 am to 5.30 pm, Monday to Friday. Without unresolvable objections, is likely to be installed late October 2016. A copy of the January IBAF report can be found here and map of the proposed extension to the Spring Grove zone here. The Six Gardens – another consequence of commuter parking by Syon Lane station and close to employment sites around Great West Road. Residents appeared not only concerned by all day parking but also its effect on waste collections not taking place in this neighbourhood due to refuse lorries as well as pedestrians not being able to negotiate tight and inconsiderate parking by some on these narrow roads. Following correspondence and meetings with residents, I raised this issue at the July 2015 IBAF and a detailed design consultation took place in January 2016 which saw serious support for parking controls here. At the 3 March 2016 IBAF, councillors agreed that the scheme should progress to statutory consultation. This consultation will take place mid June 2016 with a proposal to include Warkworth Gardens, Otterburn Gardens, Redesdale Gardens and Northumberland Avenue (from Roxborough Avenue to Syon Lane) to the existing Syon Lane Station CPZ which operates from 9.00 am to 6.00 pm, Monday to Friday. Without unresolvable objections, is likely to be installed late October 2016. A copy of the January IBAF report can be found here and map of the proposed extension here. North of Gillette Corner – Another request arising from commuter parking impacts and a petition from residents on the Wyke Gardens Estate off Syon Lane I presented to the Mayor of Hounslow. Informal consultation on a scheme to include Syon Park Gardens, Syon Lane, Stags Way, Crowntree Close, Wyke Close and Oaklands Avenue took place in September 2015 and reported to IBAF at its meeting on 12 November 2015. A copy of the report considered then can be found here and a map here. Consultation on a detailed design has just ended and is expected to be reported with next steps, if any, to the next Isleworth & Brentford Area Forum scheduled for 26 May 2016. Burlington Road – Concerned with the implications of a controlled parking scheme due for neighbouring Spencer Road, a petition was presented by residents of Burlington Road requesting that the Council consider the introduction of a CPZ in their road (operational 10.00 am – 12.00 pm, Monday to Friday. This was considered at the 3 March 2016 IBAF. An informal consultation in Burlington Road and neighbouring streets, Vincent Road, Spring Grove Road, Witham Road and Eversley Crescent is expected to commence in June 2016 and reported to IBAF in September 2016. I shall make an effort to offer updates here but in the meantime happy to correspond.